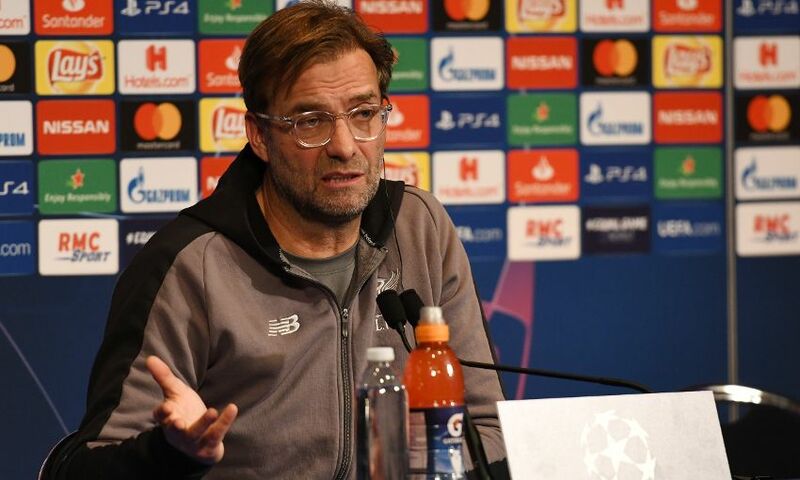 Jürgen Klopp insists Liverpool will be ‘brave’ in their approach as they aim to record a victory over Paris Saint-Germain in France on Wednesday evening. 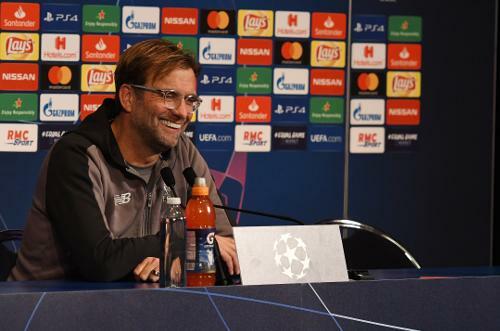 The Reds could seal their place in the last 16 of the Champions League by securing three points from the mouth-watering tussle at the Parc des Princes. But with PSG a point behind both Liverpool and Napoli in Group C, the hosts will be aiming to bolster their own qualification prospects heading into the final matchday next month. They were never mind games, to be honest. The players [Neymar and Mbappe] left the pitch a week ago injured and I am actually pleased for them that they are not serious, especially Kylian with what could have happened in a situation where you go down like this. So that’s it, we always expected them to play. Sadio was on the plane, so if nothing happened when I left the plane and went for one-and-a-half hours to the press conference… when I saw him last he was fine. I speak about the line-up in the press conference? You’ll have to wait a night because I will not say anything about it! We will see which midfield and which system [we will play]. We have now at least one other system we could use, we can line up in a few different ways. I understand your question but I will still not answer! I have no clue, to be honest, that’s what I love most about football. Two very ambitious teams will face each other in a very, very interesting competition, in an interesting situation in the group because we brought Belgrade back in the group [by losing in Serbia], so we go for everything and that’s how football should be. Very often when you see groups after the draw you know immediately who will go through. The first two are pretty clear most of the time, but in this group it was clear from the beginning it was a difficult one and that’s it. We are here, we didn’t ever think negatively about it, we were looking forward to the game in Paris. We don’t play here very often and it’s a big task. It’s just really exciting and the more difficult it is, the more I enjoy the preparation because you have to think about pretty much everything: how to defend this and that, how to avoid this and that, and how to play football yourself because that’s the most important thing. It is a thing Paris is not used to that much in the league because they are so dominant – we have to make sure that they are not that dominant against us. When we have our possession we [have to] do something smart with that. That’s all in two training sessions, actually one, today. 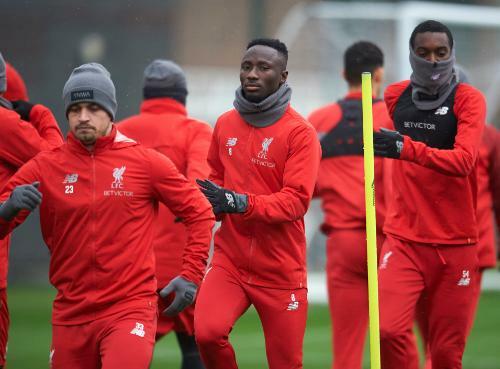 The weather was not too good in Liverpool but the boys were 100 per cent focused for 60, 70 minutes on the pitch, fully concentrated and hopefully you can see that tomorrow night. It’s much more difficult to prepare a game where my players don’t know the opponent, which happens from time to time. We give the boys videos individually on things like does he go more on the left side or the right side, stuff like that, but this generation of players has probably watched 500,000 YouTube videos of Mbappe and Neymar and Cavani and all that stuff… but the thing about football is you can only shine when you get the ball. You can shine without the ball but until you get the ball in one moment… that means we have to defend them, that’s how it works. You can close spaces and if you only close it one time with not only the quality but the speed of them, then they are away. If you are not compact, you have no chance. So that’s all clear, but you have to be brave by yourself and that’s what we did in the first game [v PSG]. We were so attacking-minded even in our defending, it was constantly stepping in and winning the ball back and all that stuff. It’s difficult then to play. I am completely happy with our individual quality and believe 100 per cent in the group, and that’s the same probably for Thomas Tuchel and PSG. It’s not decided before the game but it’s interesting to watch I’m pretty sure. How do we want to play? Brave. Against Paris it makes sense in all different departments that we really try to enjoy the game – a very difficult game. In a game like this, you need to be at your best in pretty much all departments but especially in your frustration tolerance. So you are really not annoyed by yourself or lose confidence in a situation when they pass you with the ball, with a run or whatever. That’s always a big challenge but so far we always enjoyed these games, like we enjoyed against [Manchester] City and like we enjoyed the last game against PSG. It is always difficult; it is not that you play PSG, win 3-2 and you think ‘We got it, that’s how you beat them.’ It stays unbelievably difficult, but I think – and it’s important – that Paris know as well we are not easy to play. That is what I have in my mind as well. We have to be at our best, 100 per cent, and if we are then we are really not nice to play. It’s not a big joy to play against us. That’s what we have to try to be again – a really ugly-to-play football team. What do I expect? It is PSG’s nature to go for a win – and they played like that in Liverpool as well. I didn’t see they played any different, to be honest. They played how they play and were at a very high level with ball circulation and keeping the ball. They had different plans in the game, which we had to adapt to all of them and did quite well. The big part of the game was that we scored the last goal, but apart from that we also had chances and that’s a sign for a good game – that you are really in it. I expect them to attack and I expect them to defend. They will try to be creative. Thomas Tuchel is a very creative manager and always works on solutions. It means we have to be prepared for really different scenarios. We try to give this advice and this information to our players and tomorrow night we will see if it works out. It is a completely different game. Nobody, not one single player, nobody outside, expects us tomorrow to be a 500 per cent better football team [to PSG]. We will expect it will be tight and if both teams play at the highest level then it should be a good game. Then little mistakes can be decisive. I am not worried. My team, I am with them for three years and one-and-a-half months now and in this time they have always been psychologically ready. Napoli was a completely different game, a strong opponent and nothing to do with the Belgrade game. I have to accept it and I don’t have to point the finger constantly and say, ‘Don’t forget, Belgrade was rubbish.’ It’s over, it’s gone, we played some other games and won them and the boys performed really well. So why should I talk about it [Belgrade]? We will be ready tomorrow night, I am pretty sure. Naby Keita will be – and he is – an outstanding player. I don’t read the English press, but this week I caught a headline of something and I didn’t say it like this or mean it like that – Naby was not average since he came in. The situation after he got injured was average because he has to get fit again, but the start was brilliant. He will be a massive player in the future for LFC and he is already. He is now really fit, he looks sharp in training, but as it is at a club like ours sometimes you have to wait a bit longer for the moment. And when you get the moment, then you have to be ready. That’s how it is. He is an outstanding player and we are happy to have him.